The Music of the African Diaspora Told Through Song: An exploration of African American music from the Middle Passage to today. Focusing on the music styles and genres of the African Diaspora, professor and performer Yolanda Williams will take us through American history with words and song. Yolanda Y. Williams, PhD, is a performer, educator, and scholar. Her performance career has taken her throughout North America, Europe, Asia and Africa, performing western art music, jazz and gospel. Yolanda has performed both soprano and mezzo-soprano repertoire with VocalEssence, the Rochester Symphony, La Choeur Symphonique de Fribourg, Lundi Sept Heures, Ensemble de Cuivres Jurassien, the Montreux Symphony and the Israel Philharmonic. 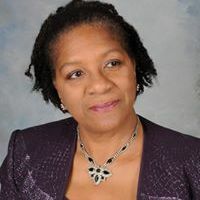 Dr. Williams serves on the faculties of the University of Minnesota, Pine Technical and Community College and Minneapolis Community and Technical College, where her teaching responsibilities include courses in African American music history, general music history, music theory and performance. Her scholarly work on music styles and genres of the African Diaspora can be found in the Greenwood Encyclopedia of African American Folklore (2005) and the Encyclopedia of African American Music (2010). Yolanda is soon to be a local licensed pastor serving as lay associate pastor at Brunswick United Methodist Church in Crystal.